What happened to Team USA's Fierce Five? Gabby Douglas, McKayla Maroney, Aly Raisman, Kyla Ross and Jordyn Wieber delivered the first Olympic gold medal for the United States in the team all-around since 1996. The victory catapulted the five young ladies to stardom, which led to appearances on the cover of magazines (Sports Illustrated featured the Fierce Five in the 2012 Olympic preview) and late night TV shows. Endorsements and a victory tour followed as well. The Fierce Five remain popular nearly four years after their rise to prominence, but with the 2016 Summer Games looming, another five ladies will get their chance to make history. Last week, Ross and Maroney joined Wieber in life after elite gymnastics by announcing their respective retirements. Douglas and Raisman are the remaining active gymnasts of the group, and they are looking to become the first female gymnasts since Amy Chow and Dominique Dawes in 1996 and 2000 to make back-to-back U.S. Olympic teams. Douglas captured the hearts and attention of America when she became the first African American woman in Olympic history to win gold in the individual all-around. She was also the first to win the individual title as well as the team title as the Fierce Five took gold. After the Olympics, Douglas was on and off with coach Liang Chow before settling in with coach Kittia Carpenter at Buckeye Gymnastics in Westerville, Ohio. The gold medalist took a long break after the Olympics before finally returning to competition in March 2015 at the City of Jesolo Trophy in Jesolo, Italy. 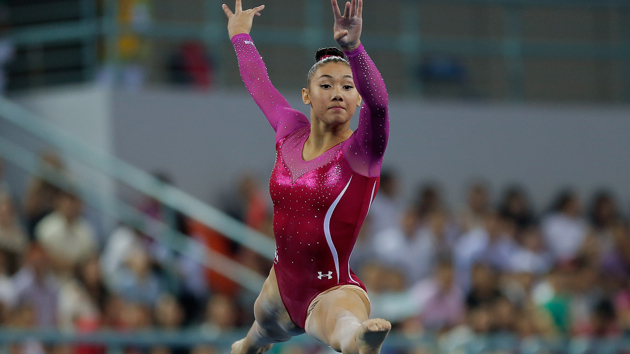 Later that summer, she took second in the all-around at the U.S. Classic and fifth at the P&G Championships. Douglas returned to the world championship stage last October for the first time since 2011. But Douglas has been supplanted as the top American in all-around competition by Simone Biles, who has won the last three world championships in the event. Douglas took silver behind Biles at last year’s world championships in Glasgow. It marked the first time since 1981 that a reigning Olympic champion in the all-around returned to the sport and won a world championship medal. Douglas will be one of the headliners at the 2016 AT&T American Cup in New Jersey next month. Maroney may not have won gold but went viral on the internet after finishing second at the Olympics behind Sandra Izbașa of Romania. 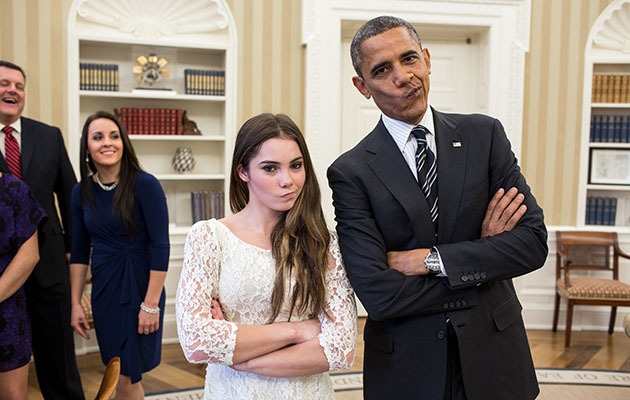 She was photographed on the podium with her lips curled to the side in a look of disappointment, which was dubbed the “McKayla Maroney is not impressed” face. President Obama also donned the look when the Fierce Five visited the White House in October 2012. Before announcing her retirement, Maroney struggled with returning to competition citing several injuries since the 2013 world championships. Without taking much of a break after the Olympics, Maroney defended her world title and won gold on vault after the Olympics. Since the Olympics, Maroney made cameos on Bones and Hart of Dixie and has signed several professional endorsement contracts. Due to injury on the Kellogg's Tour of Gymnastics Champions, Raisman joined Douglas in taking a long break from competition after the Olympics. During her 31-month hiatus, she finished fourth on Dancing with the Stars and signed several endorsement deals. She also posed for ESPN the Magazine's Body Issue and assisted Boston’s failed bid for the 2024 Summer Olympics. She returned to competition in Jesolo, where she won bronze in the individual all-around behind Biles and Italy’s Erika Fasana. She was fifth at the U.S. Secret Classic and third at the P&G Championships behind Biles and Maggie Nichols. She was a member of the U.S. national team at last year’s world championships but did not qualify for the all-around final. Ross was one of the most active Fierce Five members in the sport after the Olympics. 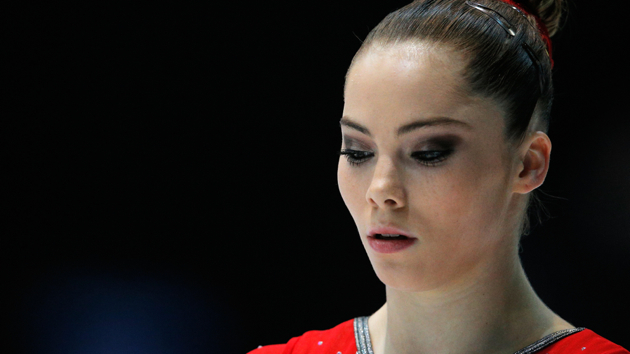 She competed at the 2013 and 2014 world championships, taking silver and bronze in the all–around, respectively. She also won silver medals in the uneven bars and balance beam in 2013. Ross retired from elite gymnastics on Feb. 22 but still intends to compete for UCLA, where she will enroll in the fall. Wieber did not compete after being part of the 2012 Olympic team and was the first of the Fierce Five to announce her retirement from elite gymnastics. She finished her career having won gold medals in the individual and team all-around at the 2011 world championships and a team gold in London. 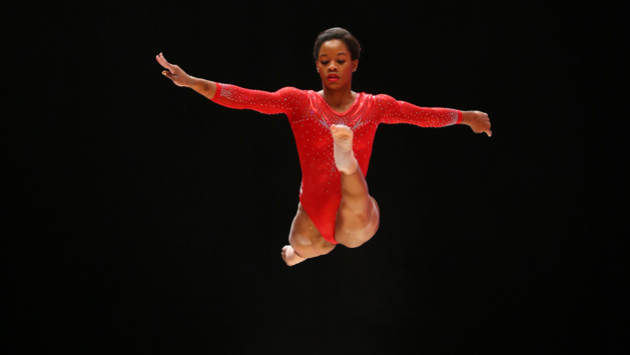 She was fourth overall in the first round of the individual all-around in London, but the United States went with Douglas and Ross in the final. Wieber later revealed that she had been competing in London with a stress fracture in her right leg. Wieber is now a team manager for the UCLA gymnastics team, where she will be reunited with Ross next year.